Prenatal vitamins are so important during pregnancy that many pharmacies now offer them free of charge. Like regular multi-vitamins, prenatal vitamins are intended to supplement a well-balanced diet rather than taking the place of eating properly, but prenatal vitamins so much more. They ensure that pregnant women get additional levels of vitamins and nutrients that would be difficult to obtain just through eating healthy foods. Prenatal vitamins are often also recommended when trying to conceive, as the dense nutrients they provide are key to the baby’s development and may prevent some birth defects, including autism. Not all prenatal vitamins are the same, and individual needs may vary as well. Women who get a good amount of Omega-3 fatty acids from fish may not need additional supplementation, but other women who do need it may find their prenatal vitamins don’t contain Omega-3 fatty acids, and that they require additional supplements. Calcium is important both to the bone development of the baby and to maintain the mother’s bone and teeth health. Folic acid and iron contribute to development of the brain and spine and reduce the risks of several birth defects including cleft palate, congenital heart disease and developmental disabilities like autism. Autism is a life-long experience and can affect learning, physical ability and how one gets along in society where certain communication and thinking styles are prized over others. There are many expenses that come along with a diagnosis including tutoring, mobility devices, special employment training and caregiving. Folic acid is specifically noted in recent research to reduce autism risks, possibly as much as 50 percent. Folic acid is a B vitamin that prevents neural tube defects that cause malformation in the brain, so it is extremely important in the formation and development of the baby’s brain overall. Folic acid is not guaranteed to protect against autism, but some studies have shown it can decrease the risk if taken at the right time and if other risk factors are also reduced. Two separate studies conducted by the University of California Davis and in Norway reached the same conclusions about the value of folic acid in relation to autism. The most effective prevention came from supplementing folic acid for six weeks prior to pregnancy and the first six weeks after conception. When planning a pregnancy 400 micrograms of folic acid are recommended by the USDA, and 600 micrograms are recommended during pregnancy. This increase in folic acid via supplements is beneficial throughout pregnancy and can be started more than six weeks prior to conception for the other benefits to brain development it provides. 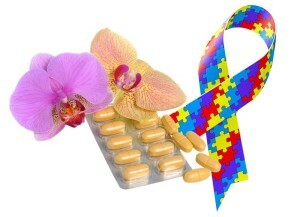 The specific 12-week window is only noted for possible protection in relation to autism. Other things that may increase the risk of autism are infections early in the pregnancy and exposures to pesticides. Folic acid prior to and in the early weeks of pregnancy is a realistic goal that women can set to help reduce their risks while realizing it may not protect them entirely. Because folic acid has so many benefits to development it is recommended in any case. The possibility that it may reduce autism risks bolsters reasons to include this supplement as part of basic maternity care.